Melbourne has so much to offer. I love experiencing new places and events and sharing them with you. I have an interest in gluten free, vegan and vegetarian diets so I will let you know if you these can be catered for in my reviews. You will revere in the Reverence Hotel's new pizza menu. Although just seven options, it's about quality not quantity. The price isn't bad either, all are priced under $12. Made on homemade corn pizza crust, there is a vegetarian and meat section, and all vegetarian pizzas may be made vegan (with vegan cheese). So, this is what brought us in - the promise of amazing pizzas at the local. 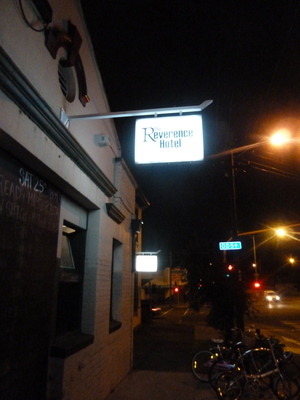 The Reverence Hotel is a little rough around the edges, but it's got character. The bar staff are extremely friendly and there are lots of little pockets of seating; high on stools, at the bar or at tables, at the front, out the back - you get the gist. Clientele seem to be locals. People were dancing, clearly enjoying themselves! Now that's not something you see at the local pub everyday. There are big screens out the back showing random images, well, they seemed random to me. If dancing is not something you 'do', old fashioned pin ball machines and billiard tables are here plus the Reverence has a revered live band line up – advertised on the outside board, posters inside, and of course music magazines. 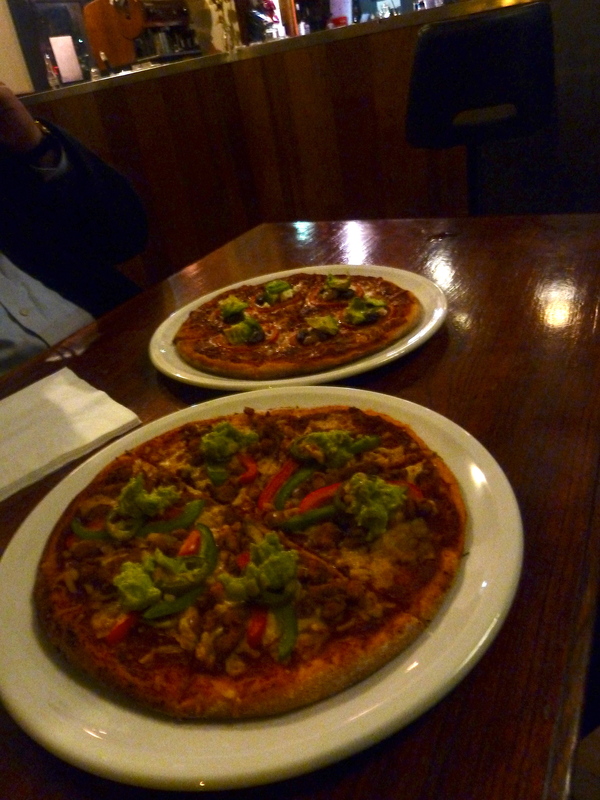 I ordered a vegan pizza – the Mexican bean. It was amazing, so tasty, crisp fresh base and a medium size. The Reverence (with regular cheese) was also something else I heard, something we would definitely go back for, the vibe was pretty good too. When: Thursdays- Saturday from 6pm. Sunday from 3pm.